The Louisiana state motto was adopted in 1902. Governor Heard emphasized Union, Justice and Confidence as some of the most important values of statehood. The patriotic value of the strength of 'Union' seen in the Louisiana motto is also present in other state mottos of other U.S. states such as Illinois, Kentucky, Nevada, North Dakota, and Vermont. 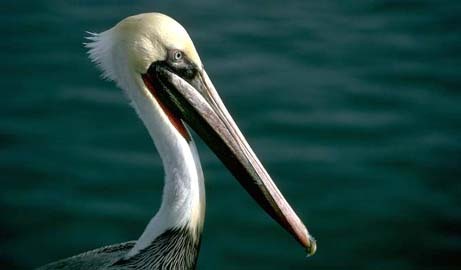 The Pelican is an often seen bird on the Louisianan coastline. The fascination with the Brown Pelican stems back to the days of the early settlers who noticed how protective and caring the pelicans acted towards their offspring. In spite of a rough pollution history with near extinction of the pelican in Louisiana in the 1960s, the pelican today has been successfully reintegrated into the Louisianan ecology. A bayou is a small, often slow and sluggish, river that feeds into a larger area of water. Louisiana with its many lowlands is rich on bayous. 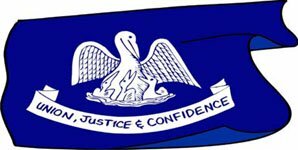 In the beginning of 1974 this Louisiana state nickname was to be seen on state license plates. 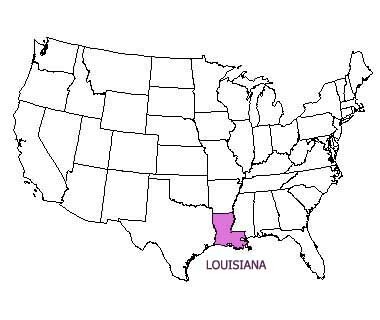 This Louisiana state nickname is a reference to Louisiana’s waterways. "The Child of the Mississippi"
The land mass of Louisiana consists partly of silt deposited by the Mississippi River. This Louisiana state nickname is a reference to the many outdoor sports that Louisiana's nature offers: fishing, trapping and hunting. But also football, horse racing, golf, ice hockey, and baseball are popular. This Louisiana nickname can be seen on the state license plates. The many rivers of Louisiana offer excellent fishing opportunities. Louisiana has a significant sugar cane production. A reference to the culture made up of the descendants of French and Spanish settlers. "Fall in love with Louisiana all over again"
"Come as you are. Leave Different"
Some of these Louisiana funny state slogans may be bought on t-shirts and the like. Or maybe Alabama, Alaska, Arizona, Arkansas, California, Colorado, Connecticut, Delaware, Florida, Georgia, Hawaii, Idaho, Illinois, Indiana, Iowa, Kansas, Kentucky, Maine, Maryland, Massachusetts, Michigan, Minnesota, Mississippi, Missouri, Montana, Nebraska, Nevada, New Hampshire, New Jersey, New Mexico, New York, North Carolina, North Dakota, Ohio, Oklahoma, Oregon, Pennsylvania, Rhode Island, South Carolina, South Dakota, Tennessee, Texas, Utah, Vermont, Virginia, Washington, West Virginia, Wisconsin, and Wyoming.